Almost half of all children will suffer from at least one middle ear infection (otitis media) before they're a year old, and two-thirds of them will have had at least one episode by age three. The symptoms of otits media include ear pain, fever, and irritability. 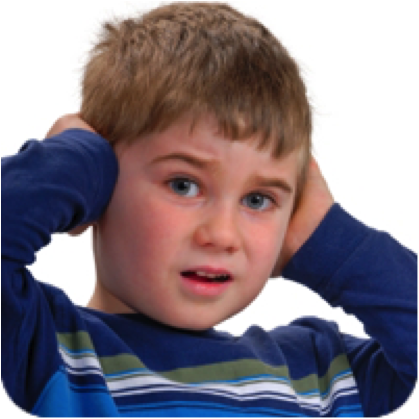 If you look into the ear of a child who has otitis media, you will be able to see a buildup of fluid behind the ear drum, and the inside of the ear will appear inflamed.